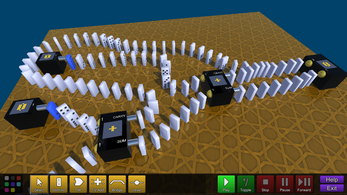 Domino Playground is a puzzle game about making computers with dominos. 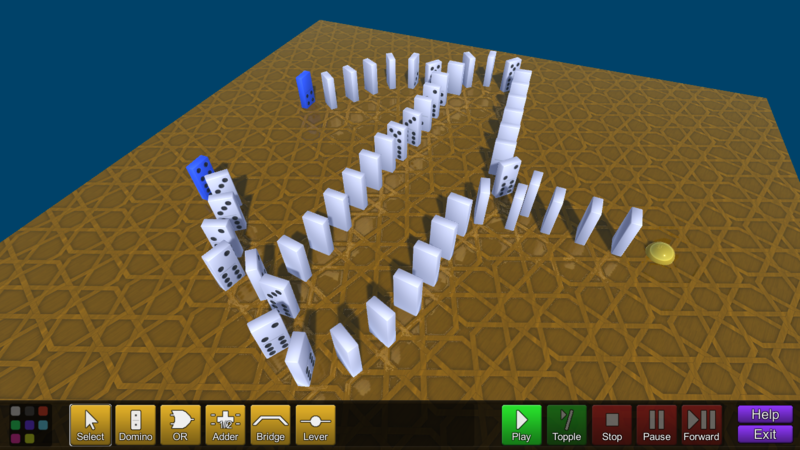 It's also a sandbox for making domino setups that you can save, and reset with the press of a button. 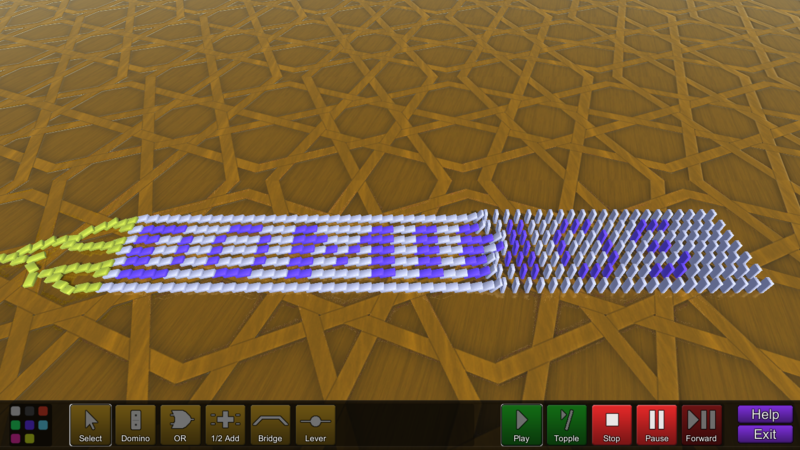 Creative Mode is ideal for anyone who likes setting up and knocking over dominos. 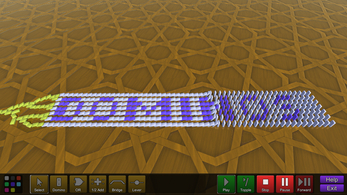 Puzzle Mode is a friendly way to learn about basic logic circuits, which are the building blocks for electronic calculators and computer processors. 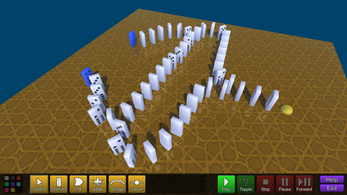 Did you know you can do arithmetic by toppling dominos? Are you interested in studying electronic engineering? Domino Playground's puzzle mode is a fun way to learn the basics!